Here are some of my favorite books on products, innovation, and management. Product Management For Dummies by Brian Lawley and Pamela Schure covers a broad scope of topics in everyday language with lots of checklists and templates. Beyond the product topics, they explore different roles and titles, plus a nice chapter on planning your own career path. A great intro for the new product manager. The Product Manager’s Desk Reference by Steven Haines. Need to do a competitive SWOT analysis? See page 166. Need a strategic plan? It’s there too. Particularly for new product managers, this is the source for practical methods. You won’t read this; it’s not that kind of book. Instead, you’ll keep it handy for when you need a template or method that’s new to you. The Art of Product Management: Lessons from a Silicon Valley Innovator by Rich Mironov offers a series of quick-read to explore how product management is practiced, particularly in Silicon Valley. One of my favorites is “Parenting and The Art of Product Management”which is spot-on and also funny. Also see “Where should PM report?” and “Product Management is Inherently Political.” This isn’t theory; it’s real-world lessons from someone who’s been a product leader in Silicon Valley for decades. The articles are easy to read but keep a pad nearby because you’ll take lots of notes! 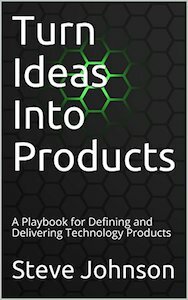 The Lean Product Playbook: How to Innovate with Minimum Viable Products and Rapid Customer Feedback by Dan Olsen gives a practical set of tools for Lean implementation plus practical tips for managing any product. 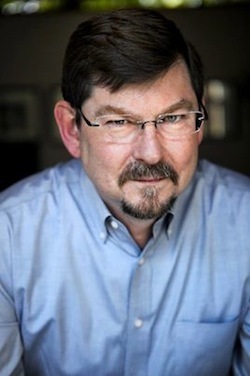 Competing Against Luck: The Story of Innovation and Customer Choice by Clayton Christensen. The “Jobs To Be Done” framework discounts the traditional marketing approach focused on demographics; instead, its focus is problems and the personas who have them. A great discussion of “jobs to be done” with lots of real-world examples. The Advantage: Why Organizational Health Trumps Everything Else In Business by Patrick Lencioni. One aspect of success that no one talks about is “organizational health.” Trust and shared goals—on product teams and leadership teams—are the keys. If you’re in a dysfunctional organization, this book provides some great insights. Creativity, Inc.: Overcoming the Unseen Forces That Stand in the Way of True Inspiration by Ed Catmull is a great book of management, particularly on managing creative people and projects.